Yep! Had a min to try before I leave for work. That was it! I didn’t even notice that last night… thank you for pointing it out! maybe it’s a bug , I will try to contact behringer. trigger oscillator 1 and notes above will trigger oscillator 2. I’m looking for thick analog bass. And i want to pair it with my eurorack and eventually use it for my live set next to the dt and dn. I checked the sonic state video and a lot of vids online. I feel more drawn to the neutron than the D. maybe because i can find a bit more use for it with my eurorack. Fair warning: I haven’t used it without running it into the external audio input of the Moog Grandmother yet, but holy cow does it shake the room when I make a bass patch! Edit to say that while the GM has low end balls, adding the Neutron really kicked it in. So the black faceplate overlay in the vid amku links to is only $40 USD. Black Light Reactive Overlays, Skins and Accessories for the Behringer Neutron Synthesizer. Plus the lettering glows green when you put it in BLACK LIGHT. Looks like they have got other products planned, and maybe other accessories for the Neutron. I notice there are a bazillion ideas for alternative overlays for the Neutron over here. If you know of other companies that are doing accessories, or mods or bending the Neutron i’d love to hear about them. BTW: Graydon the people that did the video amku references, and that do the black light overlay, have another video doing the THX zoom sound at the beginning of movies by multi-tracking a Neutron. Heck it wouldn’t cost to much to do the same thing ‘live’ with multiple Neutrons. Ill be honest, the original red neutron is ugly but an ugly faceplate does not = ugly sound. If I end up getting a neutron ill probably get a custom faceplate but at the end of the day we get synths to play them, not to stare at them. haha. Behringer is the New, High Quality Standard in manufacturing. they‘ve reinvented a lot of the Analog circuitry for the synths by producing them on their own. no need for a supply chain. You know…Companies will ask them to produce their own stuff in Ulis mega City. btw. there’s only one fully capable -made for iOS- Dock for professional use of Apps and utility on the IPad and such… Splitting the lightning slot into real hardware. guess what…it’s from Uli Behringer. 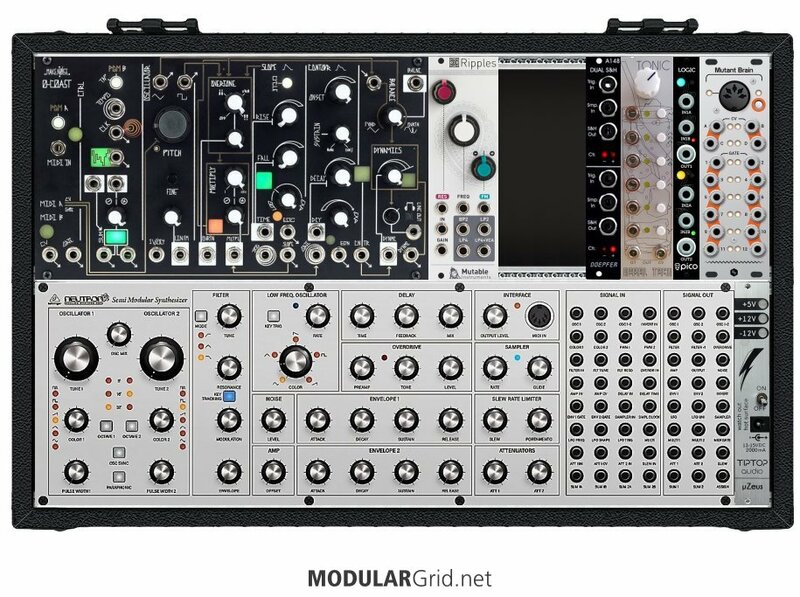 Behringer should make overlays them selfs, 40 usd for overlaying 250usd synth is strange…how will the poor musicians do that ?? The Moog DFAM comes with a set of heavy cream colored paper overlays that you can just drop on and it shows you how to patch the synth for some particular sound. It includes connections across the patch panel, and knob and switch settings as part of that. That would be nice for the Neutron as well – and easy enough as a DIY. I’ve just embraced the devil and ordered a Boog D, Deepmind 12 and Neutron all for a not unreasonable £1100. Hospital boredom + PayPal access - lots of synths!! !